Having following the renaissance of downtown Montreal for the past 5 years, I’m astounded by how quickly things have changed in this city. From new towers to new restaurants, the population of downtown has increased to 120,000+, the heart of the city is thriving once again. What’s crazy is that the 2nd boom cycle is starting and many new projects have been proposed and approved. 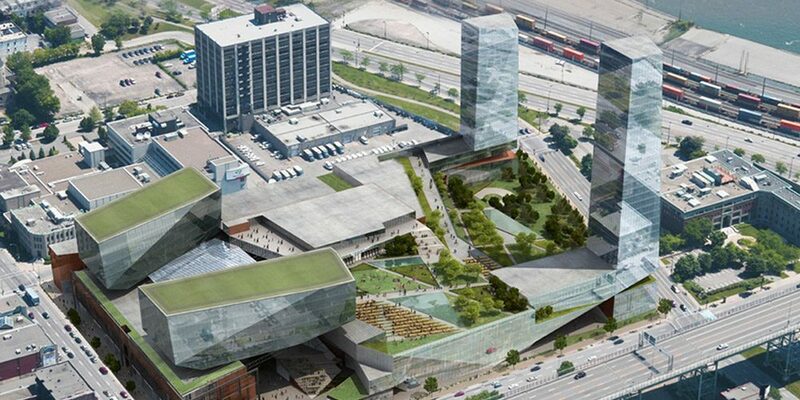 Here are some of the mega developments that will be transforming downtown once again. Tour des Canadiens phase 2, 49 floors, 590 units. After the success of phase 1, which sold out, Cadillac Fairview introduced TDC2 mid-2016. The project sold out within a few months and is part of a $2B development called Quad Windsor, which includes 7 buildings (image below). 2. Children’s hospital project, $500M, 6 towers + community centre, expected to start summer 2017. A controversial project, this project is set to start this summer. The controversy lies within the demolition of the abandoned children’s hospital’s unique art deco architecture and allowing taller buildings in the area (between 60 metres and 120 metres). 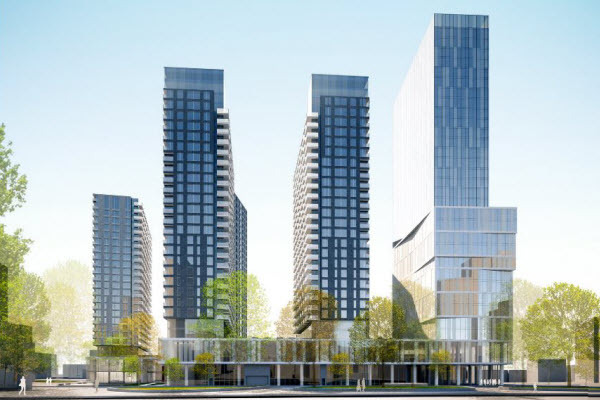 The project contains 6 towers including social housing, rental, condos, offices, a hotel, community centres, a library, potential school, green space and shops. A very bold and beautiful project, Humaniti is a first of its kind in Canada. The mixed-use includes rental, condos, office space, luxury hotel and commercial space. The project also includes car-sharing services and electrical charging stations. 4. Quais-de-Lorimer, $500M, unknown starting date. Yet another $500M dollar project, this is located in the far east end of downtown. The project includes 2 8 floor office towers, a hotel tower and the tallest tower will be residential. The project includes indoor/outdoor retail space under the office towers and a very large outdoor area on the 4th floor, which will include events, green space, ice skating rink and views of downtown. There are many other proposed projects and future projects in the pipeline, but these projects are the biggest and ones that will happen between now and next year. Other projects are either 1 or 2 condo towers/office towers or small-scale projects. 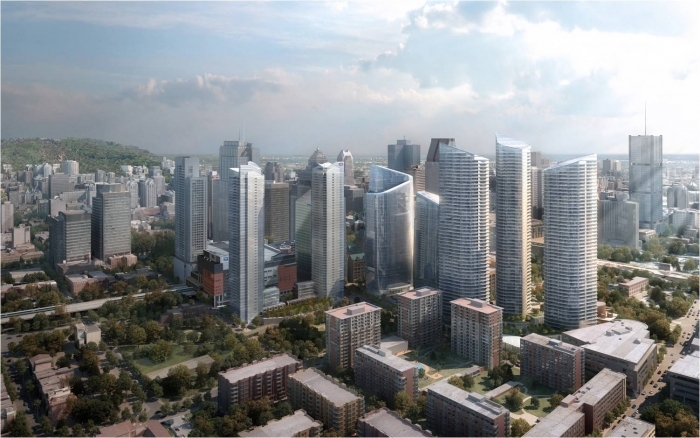 Regardless, downtown continues to grow with new projects, green space and the future REM (light rail transit) we are indeed living in a new era in Montreal, a very exciting one at that. 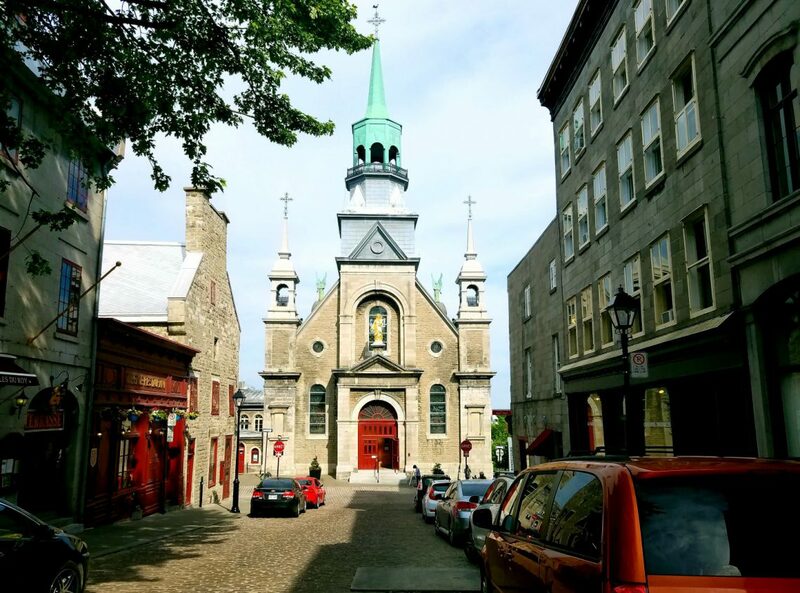 Previous Plaza St.Hubert art hunting part 3. Next Happy Birthday, Montreal! 375 years old!